The Corporate Citizenship Center works with the private sector to improve the efficacy of business philanthropy in disasters, breaking down information and coordination barriers between sectors, and highlighting the unique work of corporate citizens in the field. Improve communication, coordination, and cooperation between businesses, government, and nonprofits in times of disaster. Utilize business expertise and innovation to improve the disaster management system. Improve the effectiveness of business contributions to disaster preparedness, response, and recovery. To get involved, please contact Brooks Nelson. Businesses have a vital role to play in disaster preparedness, response, and recovery. Resilience in a Box, designed in partnership with the UPS Foundation, is based on best practices and designed to educate business leaders on disaster preparedness and business resilience. 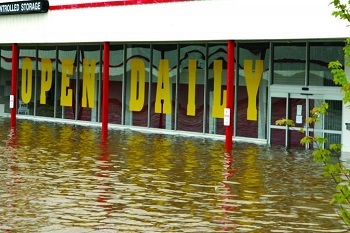 Sponsored by Shell, CCC's Disaster Preparedness and Recovery Quick Guides help chambers of commerce and small businesses prepare for and recover from disasters.